Ultrasonic diffusers rely on high frequency sound waves to break down water particles and create an ambient mist that is so fine that it can appear as a fog. 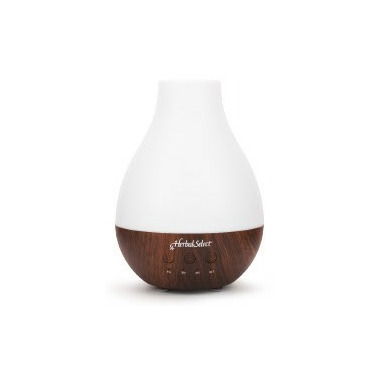 This ultrasonic diffuser blends contemporary design and the latest in ultrasonic technology to effectively disperse a cool, humidifying vapour. Simply add one cup (250 ml) of unfiltered tap water and up to 10 drops of your favourite essential oils to fill your home or office with the perfect aroma that sets the mood you want.